For a long time this has been a huge family secret and the success story of Christmas dinners and cooking clubs. But it is now finally time to share this amazing sauce with you. When October brings us stormy autumn weather, all you need is an idea for a delicious ‘bowl of hearty goodness comfort food’. 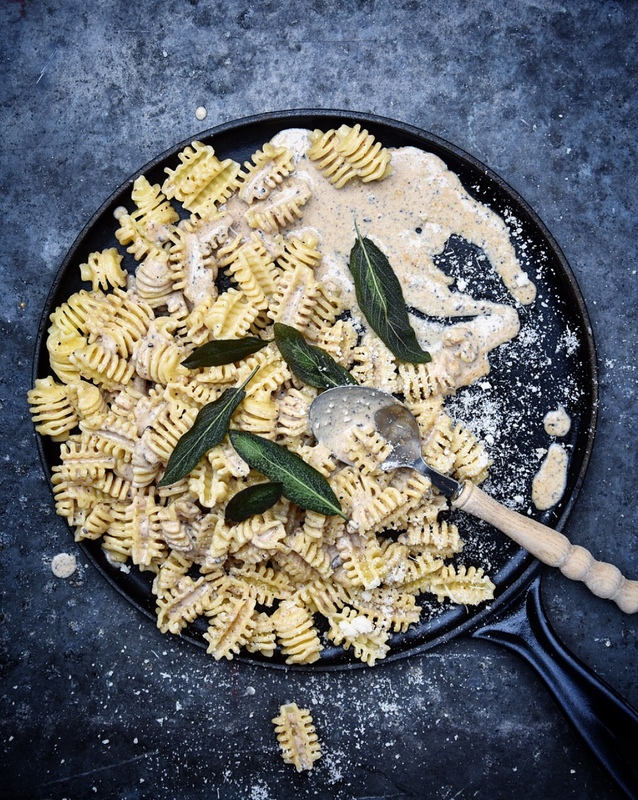 This super creamy sauce with truffle and Parmesan in combination with crispy sage and delicious al dente pasta is all you need. Mix the stock and cream in a saucepan and let reduce by half, this may take a while (± 2 hours). Add the Parmesan cheese and truffle tapenade and mix well. Season to taste with additional Parmesan cheese and/ or truffle tapenade. Meanwhile, cook the pasta according package directions. Place a small layer of oil in a skillet and fry the sage leaves, this goes quickly. Allow the leaves to drain on kitchen paper. Mix the pasta with the sauce and put some crispy sage leaves on top. Serve with some extra Parmesan cheese.